Material Descriptions - Knowing what materials make up your jewelry. Home / Material Descriptions – Knowing what is in your jewelry. Material Descriptions – Knowing what is in your jewelry. Below are Material Descriptions and other descriptions of items that I have used in my handmade jewelry and items. This list will grow as I add new things into my database. If you would like to see something in the list please use the contact form and contact me. This stone is a blue-to-green mineral that is made of a hydrous phosphate of copper and aluminum. It’s rare and often very expensive and priced that way too. Because of its unique hue, it is treated like most gemstones and has been devalued over the years by being imitated, synthesized and with the use of other types of treatments. Mosaic Turquoise – Assembled with chalk turquoise chips and magnesite; mosaic “turquoise” has the appeal of natural turquoise with a much lower price point. Stabilized with resin to improve luster, the machine-drilled and polished beads feature artistic mosaic patterns in popular blue turquoise colors. Chalk turquoise – however, is low-quality turquoise that is found deeper in the soil, resulting in it becoming much softer and more brittle than regular turquoise. The Moh’s hardness scale gives chalk turquoise a range of 2-4. Chalk turquoise is defined by its pale blue or white shading since it lacks the bright blue shading of the purer turquoise. The most common imitations of turquoise are dyed Howlite and Magnesite. Both naturally white and having a convincing black vein that turquoise has, that when dyed helps to make it look like turquoise. African Jade– it is a complex Calcium Aluminum Silicate. Its bright green coloration is due to traces of chromium.is a tough, opaque stone that lacks cleavage and is rated at 6.5 to 7.5 on Moh’s Scale of Hardness. African Jade has a vitreous luster and is most often a forest green to a grayish green, but may also be multi colored and display shades of pink and white. Jade – is an ornamental rock. Its term is applied to two different metamorphic rocks that are made up of different silicate minerals: Nephrite and jadeite. They were both used from pre historic periods for hardstone carving. There are many different types of jade. There just as many color variations as well including; Green, white, orange, yellow, lavender, gray and black. Jasper – a form of chalcedony, is an opaque, impure variety of silica, usually red, yellow, brown or green in color; and rarely blue. The common red color is due to iron (III) differentiations in what is basically a Chert. The mineral breaks with a smooth surface and is used for ornamentation or as a gemstone. Dalmatian Jasper – also called Dalmatian Stone is a white to cream-colored material with black spots that are produced in Chihuahua, Mexico. It reminds people of the Dalmatian breed of dogs – and that is where it gets its name. Brecciated Jasper- is also known as Poppy Jasper ranges from deep brown, brick red and cream colors swirling through it. It also contains hematite, an iron compound, which gives it both its red tones and the dark bands. Primarily deep red–veined or patterned with brown, black and beige–and sometimes has clear crystal inclusions. Leopard skin Jasper-named after the way the pattern resembles a leopard’s coat. This particular Jasper uses a bronze-based set of earth tones to inspire and help one connect with their inner animal “power”. Color patterns vary from. Picture Jasper– exhibit combinations of patterns (such as banding from flow or depositional patterns (from water or the wind), dendritic or color variations) resulting in what appear to be scenes or images, on a cut section. Diffusion from a center produces a distinctive orbicular appearance. Fancy Jasper– varied solid and blended colors, and can display an array of random characteristics including swirling lines, subtle spots and fleck accents. Typically fancy Jasper is an opaque blend of earth tones–forest green, dark honey brown, rich mauve and more–that may be subtly mottled with cream and accented with gold flecks. Zebra Jasper– is a form of Jasper that is decorated with mixes of gray, white and soft pink in zebra stripe patterns. When used in jewelry making each bead has its own special pattern making the item made with it unique. Dragon Blood Jasper – is a member of the quartz family (chalcedony). It is a fantastically patterned gemstone with deep red tones of matrix joined with a combination of forest green hues. Dragon Blood Jasper is found only in Western Australia. The local legend there says that the stone is the remains of deceased ancient dragons – the green being the skin and the red the blood. Botswana agate- is famous for its purple, blue, and white fortification. They are known for their bold fortifications of gray, white, and nearly black, but can also be found in pastel tones of pink and salmon. It is mined in Botswana Africa. Yellow Botswana Agate -displays gorgeous banding of golden yellow and cream, with a hint of orange in the stones. Some of the bands are transparent which allows a view inside of the stone. This shows just how fascinating the Agates structure can really be. Obsidian – is a naturally occurring volcanic glass formed as an extrusive igneous rock. It is produced when felsic lava extruded from a volcano cools rapidly with minimum crystal growth. Obsidian is commonly found within the margins of rhyolitic lava flows known as obsidian flows, where the chemical composition (high silica content) induces a high viscosity and polymerization degree of the lava. Snowflake Obsidian- A form of obsidian that contains small white crystal impurities in the glass. The end result is a beautiful black color with distinctive grayish white patterns throughout the surface. Malachite is a green secondary copper mineral; it was used by Greeks, Romans and even Ancient Egyptians for jewelry and even eye shadow. It was used to protect against witches and other types of evils in the middle ages as well. Howlite is a borate mineral found in evaporite deposits. Most common forms are the irregular nodules which resemble cauliflower. Crystals of Howlite are rare and have only been found in a couple of sites in the world. Carnelian is a brownish-red mineral commonly used as a semi-precious gemstone. Carnelian is similar to Sard, which is usually harder and darker but not noticeable easy. They are both varieties of the silica mineral chalcedony colored by impurities of iron oxide. The color of Carnelian can vary greatly, ranging from pale orange to an intense almost-black coloration. Hemalyke is synthetic Hematite made by using Hematite that has been ground up and a glue binder added to it before being molded into various bead shapes and sizes. It looks very much like real natural Hematite and is why it is used in jewelry more often. Magnesite is a mineral that can be colorless, white, pale brown, barely pink, lilac-rose and pale yellow. It can exhibit a pale green to pale blue fluorescence under certain lights. It is dyed to make beads and ornaments. Mahogany Obsidian – is a natural volcanic glass deep reddish-brown with black inclusions. The distinctive coloring comes from high concentrations of iron. Cinnabar – is a mineral filling vein that is associated with a recent volcanic activity or alkaline hot spring. It is also associated with native mercury, pyrite, marcasite, opal, quartz and more. It is found all over the world. Tiger’s eye – is a chatoyant gemstone which is usually a metamorphic rock that is golden to red-brown color with a shiny luster and it is a member of the quartz group. (Also known as Tigers eye or Tiger’s eye). Tiger iron– is an altered rock composed chiefly of tiger’s eye, red jasper, and black hematite. The undulating, contrasting bands of color and luster make for an attractive motif, and it is mainly used for jewelry-making and ornamentation. Tiger iron is a popular ornamental material used in a variety of applications, from beads to knife hilts. Cat’s Eye– The mineral or gemstone chrysoberyl is an aluminate of beryllium. Chrysoberyl is the third-hardest frequently encountered natural gemstone and lies at 8.5 on the hardness scale, between corundum (9) and topaz (8).Cymophane is popularly known as “cat’s eye”. This variety exhibits pleasing chatoyancy or opalescence that reminds one of an eye of a cat. Aventurine – is a form of quartz, it is characterized by its mineral inclusions and its translucency. The inclusions give it a glistening and shimmering effect. Serpentine – is a gem-quality hydrated magnesium silicate, usually green, yellowish-green, or brownish-green in color. Its name is thought to be derived from its serpent-like green colors. Serpentine is not just a gemstone, but rather, it is a group of minerals which includes up to 20 different related members. Although there are a variety of serpentines, there are only two basic aggregate structures of serpentine which include antigorite and chrysotile. Unakite – is a made up of a combination of three minerals: Green Epidote, Pink Feldspar, and Quartz. Lapis Lazuli -is a deep blue semi-precious stone that has been prized since antiquity for its intense color. Sodalite -is a rich royal blue mineral widely enjoyed as an ornamental gemstone. Although massive Sodalite samples are opaque, crystals are usually transparent to translucent. Sodalite is a member of the Sodalite group with hauyne, nosean, lazurite, and tugtupite. Quartz -is the second most abundant mineral in the Earth’s continental crust, after feldspar. There are many different varieties of quartz, several of which are semi-precious gemstones. Varieties of quartz have been since antiquity the most commonly used minerals in the making of jewelry and hardstone carvings. Goldstone – is a glittering glass made in a low-oxygen reducing atmosphere. The finished product takes on a smooth polished finish and can be carved into beads, figurines, or other items suitable for a semi-precious stone, and in fact, Goldstone is often mistaken for a natural material. Rhodonite – is manganese in silicate and member of the pyroxenoid group of minerals, crystallizing in the triclinic system. It commonly occurs as cleavable to compact masses with a rose-red color (the name comes from the Greek Rhodos, rosy), often tending to brown because of surface oxidation. Italian “onyx,” also known as onyx marble, is a banded calcite with neutral color tones, a semi-translucent appearance, and a glossy polish. Color, pattern, and veining/banding vary in each bead. Calcite – is a carbonate mineral and the most stable polymorph of calcium carbonate. It has a defining Mohs hardness of 3, a specific gravity of 2.71, and its luster is vitreous in crystallized varieties. The color is white or none, though shades of gray, red, orange, yellow, green, blue, violet, brown, or even black can occur when the mineral is charged with impurities. Opal – is a hydrated amorphous form of silica; its water content may range from 3% to 21% by weight but is usually between 6% and 10%. The internal structure of precious opal makes it diffract light; depending on the conditions in which it formed. Amazonite (sometimes called “Amazon stone”) is a green variety of microcline feldspar. The name is taken from that of the Amazon River, from which certain green stones were formerly obtained, but it is doubtful whether green feldspar occurs in the Amazon area. It is a mineral of limited occurrence. Because of its bright green color when polished, Amazonite is sometimes cut and used as an inexpensive gemstone in a similar way to Agate, although it is easily fractured. Chrysoprase -is a gemstone variety of chalcedony (a cryptocrystalline form of silica) that contains small quantities of nickel. Its color is normally apple-green but varies to deep green. Garnets – are a group of silicate minerals that have been used since the Bronze Age as gemstones and abrasives. All species of garnets possess similar physical properties and crystal forms but differ in chemical composition. Red Lip Shell or luanos shell is a cream and pink salmon color and is occurs naturally. Black Lip Shell is often known as Mother of pearl and has an iridescent sheen of silvery pale pink or green and can range in colors from black to light gray. It is this Dramatic color that makes it so gorgeous for Cameos and other jewelry pieces. Penshell is from a large saltwater clam family. They’re fragile and have a triangular shape that is long and has a pointed end; they also range in various different colors. Pāua is the Māori name given to three species of large edible sea snails, marine gastropod mollusks which belong to the family Haliotidae. There is only one genus and that is Haliotis. They are known in the United States and Australia as Abalone, and in the United Kingdom as Ormer shells. Mother of Pearl or Nacre – is an organic-inorganic composite material produced by some mollusks as an inner shell layer; it is also what makes up the outer coating of pearls. It is strong, resilient, and iridescent. Pinctada or Golden Lip Shell is a genus of saltwater clams, marine bivalve mollusks in the family Pteriidae, and the pearl oysters. These oysters have a strong inner shell layer composed of nacre, also known as “mother of pearl”. Bamboo coral – is a deep-sea coral. It is made up of calcium carbonate and forms in treelike branches alternating with joint-like nodes axes composed of gorgonin protein. The bony structures give the bamboo coral a finger-like appearance similar to that of the bamboo plant on land. Pearl- is a hard object produced within the soft tissue of a living shelled mollusk. A pearl is made up of calcium carbonate in minute crystalline form, which has been deposited in concentric layers. The ideal pearl is perfectly round and smooth, there are other shapes of pearls like the baroque pearl. Conus Ebraeus – common name the black-and-white cone, is a species of sea snail, a marine gastropod mollusk in the family Conidae, the cone snails, and their allies, and sometimes called the Tiger conus. Chinese mussel shell drops have a lustrous appearance with one smooth, reflective side and one rough side. Mosaic Shell– Different Types of Shells colored and Stabilized with resin to improve luster, the machine-drilled and polished beads feature artistic mosaic patterns in popular colors. Swarovski crystals -These crystal components are made in Austria and are considered the finest products of their kind in the world. Swarovski Crystal Pearls – Unlike synthetic pearls, Crystal Pearls by Swarovski are pearls made with a crystal core. Their unparalleled shine and gorgeous look are achieved using a unique coating technology developed by Swarovski. It is the first production method in the world to combine the quality of a perfect crystal core with the exquisite beauty of a pearl coating. The innovative technology by Swarovski gives the pearl a mysterious glow, which appears to be radiating from within the pearl itself. The strictest quality controls help ensure the absolute flawlessness of each Crystal Pearl. Multi-gemstone items – Each pendant features precision-cut and -polished gemstones in a charming teardrop shape. Materials can include but are not limited too. (natural/bleached/dyed/ imitation) and gold-finished steel, multicolored, Materials can include black onyx, red jasper, lapis lazuli, mother-of-pearl shell, malachite, and tiger-eye. Crystal beads– Quite simply they are glass crystal beads. By cutting the glass in just the right way, internal reflection from inside the shiny surfaces of the glass causes the light to reflect internally. This internal reflection results in sparkle as the glass is tilted, adding to its beauty. Cathedral Beads – Lovely pastels, deep purple and emerald and striking jet black with vividly colorful ends resembling sparkling bead caps. They are made by pressing into a steel mold, coating the bead with metalized color, then grinding and polishing each facet to reveal the brilliant glass base. All beads are colorfast and consistent throughout the line. They were given their name because their glowing facets and brilliant metallic trim are reminiscent of the beautiful stained glass windows in old churches. are made with no lead content you’ll see the way the light shines through the bead like a stained glass window. Perhaps that another way they got the name “cathedral glass beads”! Czech Glass -Glass making in the Czech Republic is an age-old cottage industry. These glass beads are still made in small quantities by hand. Czech glass beads are known over the world for exemplary craftsmanship, vivid color, and bead-to-bead consistency. 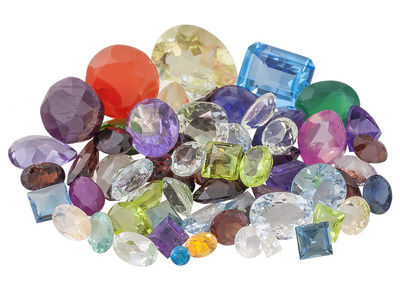 From fire-polished faceted shapes to smooth round druks and more, jewelry designers can choose the beads they need from a kaleidoscope of colors, coatings, and finishes. Porcelain- (also known as china or fine china) is a ceramic material made by heating materials, generally including clay in the form of kaolin, in a kiln to temperatures between 1,200 °C (2,192 °F) and 1,400 °C (2,552 °F). The toughness, strength, and translucence of porcelain arise mainly from the formation of glass and the mineral mullite within the fired body at these high temperatures. Crackle Glass– It is created by dipping a molten cylinder of glass into the water which causes the exterior of the glass to crack but the molten interior holds together. The cylinder is sliced down the side, flattened and the crackle textures are rolled into the glass. Arrowhead is a tip, usually sharpened, added to an arrow to make it more deadly or to fulfill some special purpose. The earliest arrowheads were made of stone and of organic materials; as human civilization progressed other materials were used. Arrowheads are important archaeological artifacts; they are a subclass of projectile points. Rubberized Acrylic Beads– Rich jewel tones with a slight metallic sheen, the lightweight acrylic beads have a resilient rubber coating for long-lasting wear. The beads are both machine- and hand-painted for a uniform color and a quality, silky-smooth finish. The beads are also not chilly like most beads are either because of the way they are made. Acrylic – Plastic beads provide a lightweight world of opportunities for jewelry artists. These acrylic beads are available in a wide assortment of vivid colors and fun shapes including designer- favorite faceted bicones, smooth rounds, flowers and alphabet beads. These man-made materials are an economical choice that achieves high impact without a high price tag. Tila® beads -Made by Miyuki of Japan, the oldest and finest manufacturer of Japanese seed beads, Tila Beads are one of the newest bead shapes in the market today. Tila® beads have a flat, square shape with dual beading holes. Nicknamed Tila and they seem to have re-energized seed bead enthusiasts and artisan jewelry makers of all persuasions. They also come in over 30 colors. Stone– Stone can be any type of stone from the common rock granite is a combination of the quartz, feldspar, and biotite minerals. It is the hard, solid, nonmetallic mineral matter of which rock is made, esp. as a building material. It is also often called Rock also. Stone cutting (carving, faceting, polishing) – are all lapidary skills. They are not easy and take the time to learn. Long ago, gemstones were designed into many different shapes, designs, and symbols rather than smooth and shiny gemstones. The art of carving gemstones has been a tradition for many years and has been practiced by many artisans all over the world. Threader earrings –also called threads or ear strings are a style of earrings which feature a chain or “thread” that goes through the ear piercing. Memory Wire -is one of the easiest stringing materials to use. Because of its hard temper, it holds its shape. There are two Memory Wire shapes to choose from: traditional Round, and Flat Memory Wire. 3D or 3-D may refer to Three-dimensional space, the physical universe; Stereoscopy, any technique capable of recording three-dimensional visual information. Three-dimensional space is a geometric 3-parameters model of the physical universe in which all known matter exists. These three dimensions can be labeled by a combination of three chosen from the terms length, width, height, depth, and breadth. Kokopelli– is one of the most intriguing and widespread images that have survived from ancient Anasazi Indian mythology. It is a prominent figure in Hopi legend. The figure represents a mischievous trickster or the Minstrel, the spirit of music. Kokopelli is also considered a symbol of fertility that brought well-being to the people, assuring success in hunting, planting and growing crops, and human conception. Zuni Bear– symbolizes the most powerful animal, the bear, Guardian of the Earth, representing strength, introspection, and power of the soul. Bear awakens the power of the unconscious and our primal instincts. It reminds us to draw on our inner resources and practice discernment and discrimination. The Zuni Indians believe that if you place a small button filled with corn meal under the nose of the Zuni Bear when you leave your home it will protect it while you are away. The strength and well-being of Bear are said to be passed on to the owner. When a bear has a Heart line, this line is the path of the Spirits breath – emphasizing taking in the spirit of Bear. Wire Weaving (Wrapping, Woven) – Wire weaving is one of the oldest techniques for making handmade jewelry. … Frequently, in this approach, a wire is bent into a loop or other decorative shape and then the wire is wrapped around itself to finish the wire component making that loop or decorative shape permanent. If you would like to know where my information on these items and gems comes from, I take this from all over the web and combine it here so you don’t have to go looking for it yourself. If you would like extra information let me know and I will point you in the right direction. I hope that these Material Descriptions have been helpful to you.